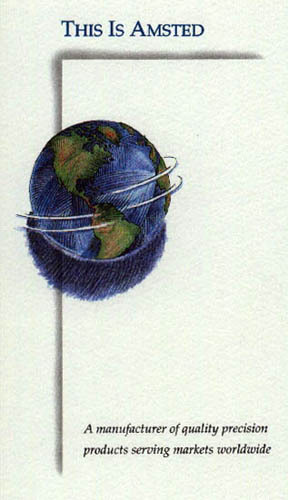 Randal created a world-globe for use on the cover. 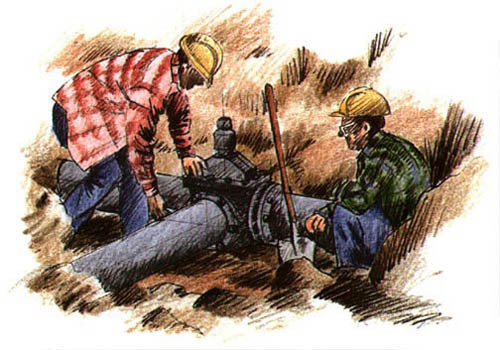 He illustrated two men working on an underground pipe for Griffin Pipe. A large factory with air coolers next to it was used for BAC. A close-up of a railroad car “truck” was used for ASF and Griffin Wheel. Later a close -up of a drive chain used in a road grader was added for Diamond Chain. 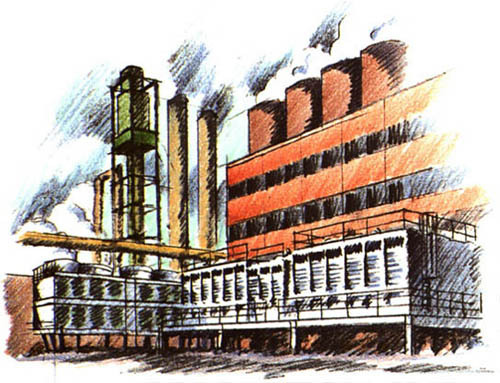 These were pre-digital illustrations in Randal’s career, done in pen and ink, and color pencil.